Nineteenth century advertising was mostly the printed word, usually rationalizing the superiority of a product or service. By the early 20th century, images were being used along with text to essentially list the reason why you should buy a product and the problems it would solve. After World War II, advertisers began to realize that society was being bombarded with information and they didn’t have their customer’s full and undivided attention. Add to this change, the introduction of self-service stores and the consumer was no longer relying on the sales clerk’s knowledge of a product to make purchasing decisions. The customer was now wandering the aisles of the grocery or department store looking for products with an ever exploding array of options. For example, classic powdered Tide, liquid Tide with bleach, Tide with a fresh breeze scent…you get the idea. To make purchasing decisions easier, eye catching labels and logos were developed to make it easier for the consumer to recognize and select a product. Just think of the impact Penguin books had in 2004, when they moved from their universally ugly green or orange covers to paperbacks with colorful images and in some cases provocative photographs. Or think of Starbucks who on opening day in 1971 had a simple brown coffee logo of a mythological Greek siren on their cups. 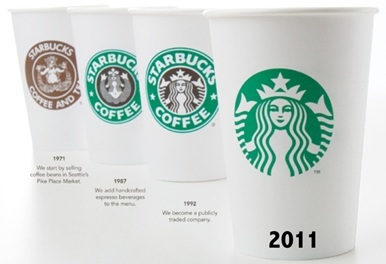 However, by 2011 (their 40th anniversary) Starbucks 4th logo is universally recognized just by the siren. We all see her and we know it’s a Starbucks coffee. An image and a logo have amazing power to attract and engage the customer. 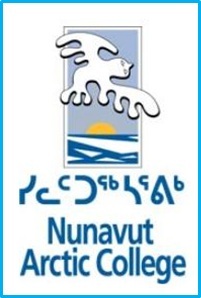 The trick is getting the right image and the right logo! 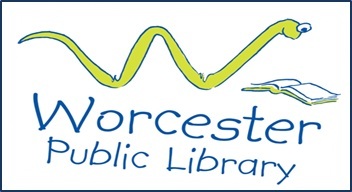 So – of course applying this evolution in brand marketing to libraryland – how do we market the library, with words and engaging images customers can identify with? Here are my current favorites! It’s all about the brand image and our emotional response. 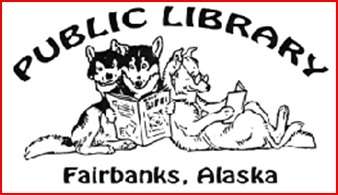 For me, these logos make me smile and think the folks at the library must be really smart, know their communities really well and/or have a great sense of humor….the reading sled dogs, an animated green book worm or the beautiful snowy owl reminiscent of a Cape Dorset print. Brilliant and engaging, I want to go there! Have a great day and an even better week.